Manchester United have shortlisted Atlético Madrid's Andrea Berta as a leading contender for the new director of football role at the club, according to reports. The Italian is highly regarded across European Football, and he is also credited with unearthing the likes of Antoine Griezmann and Jan Oblak during his time in the Spanish capital. If the rumours about Ed wanting Andrea Berta as our Director of Football are true than it’s a little comforting to know that they still care about improving the actual football side of things instead of just going after new sponsors. Juventus' Fabio Paratici and RB Leipzig's Paul Mitchell have also emerged as targets for Manchester United's executive vice-chairman Ed Woodward, but the Standard claims that the Red Devils have already declared an interest in Berta as they look to make an appointment before Christmas. Berta was only appointed as Atlético's sporting director last year, but he has been part of the club's scouting system since 2013 having previously impressed whilst working with Serie A side Genoa. He was first linked with swapping Madrid for Manchester back in 2016 when José Mourinho was brought in as Louis van Gaal's successor, but Woodward decided against the appointment as he wanted to maintain a hands-on approach to the club's transfer business. United's hierarchy have also placed Berta ahead of the potential appointment of AS Roma's director of football Ramón Rodríguez Verdejo - more commonly known as Monchi - who is widely regarded as one of the best on the planet. 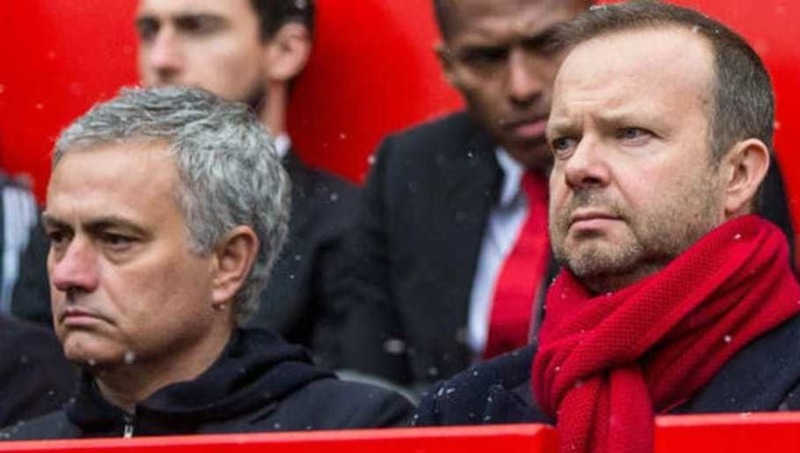 An underwhelming start to the season has seen both Mourinho and Woodward come under heavy fire, but with the Manchester United fanbase appearing to back their first team manager, the club's executive vice-chairman is now looking to make some serious backroom changes.